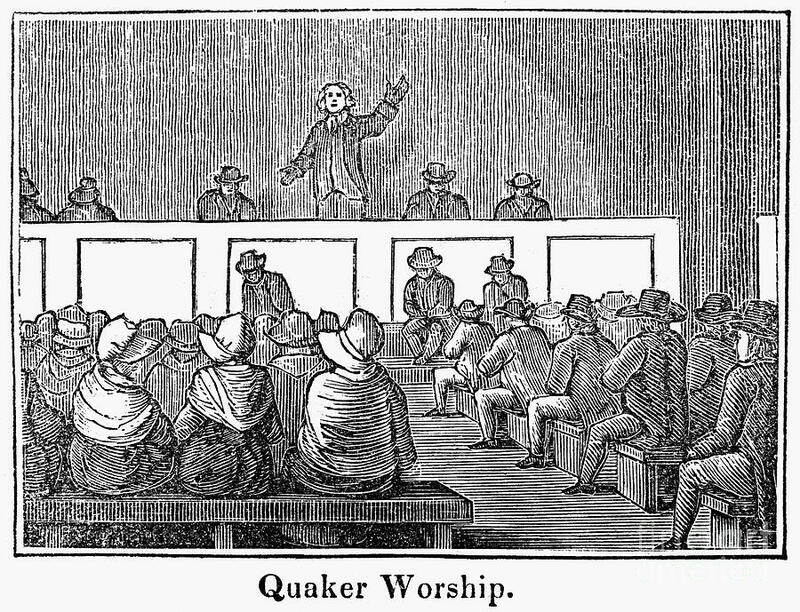 The 1660 Declaration remains a vivid summary of the cluster of theological trajectories named the Quaker Peace Testimony. This post argues that despite the centrality of peace to Quakerism over the last three and a half century’s our articulations of that peace, are recurrently compromised by a persistent tradition of supersessionism. While early Friends frequently upheld positions of radical non-violence, they often did so in ways which actively marginalised Israel’s role as messengers of peace to the nations (Is. 49:6). Consequently, many Quaker polemicists contributed towards the production of a sectarian identity which refused to accept the role of post-Biblical Judaism in the unfolding of the peaceable kingdom. In contrast to these problematic postures, it will be proposed that modern Friends cannot be faithful to the calling of peace until they develop an affirmative account of the Jewish roots of Quaker peace-talk. At the centre of this project of theological repair will be re-readings of Quaker attitudes to silent worship, ‘times and seasons’ and outward sacraments. In place of problematic dualisms between a carnal ceremony and inward worship, it will be argued that Quaker theology should regard its calling to peace as a mark of mimetic faithfulness to the character of the Covenant between God and the Jewish people. While precious ‘outward worship’ of God among the Hebrews had been fused with the caprice of kings and priests, Fox suggested Quaker worship was not ‘established by blood, nor held up by prisons, neither was the foundation of it laid by the carnal weapons of men, nor is it preserved by such.’ Here again, the Jews are understood as a retrograde people, pointing towards the true worship, but never participating in it. As Fox put it: ‘The Jews’ sword outwardly, by which they cut down the heathen, was a type [that is, a figure or foreshadow] of the spirit of God within, which [spirit] cuts down the heathenish nature within’. Here the Hebrew Scriptures (outwardly violent and bestial) is rendered merely a symbolic foreshadowing of the peaceable kingdom of Christ. In this scheme, Judaism has no mission of peace of its own but is merely a signpost to the spiritual life and worship inaugurated by Quaker communities. Is Quaker Worship Inherently anti-Jewish? Friends did not single the Jews out for special condemnation. They were critical of any group that was focused on outward forms, including all the other Christian churches, because they believed that this was the way of the old covenant. Secondly, their vision involved an inclusive expansion of God’s covenant, not the replacement of one chosen people by another. The danger of this approach is that it sidesteps the fact that the condemnation directed against other churches is itself animated by an anti-Jewish theory of replacement. When early Friends condemned Catholics for their ritualism they frequently made comparisons between papists and the Jewish priests of old. Moreover, early Quaker language of inclusion actively negates the historical community of Israel for ‘spiritual’ alternative which actively erases the Jewish people from the history of salvation. At the root of this common misreading of Paul on the topic of justification. Instead of understanding justification in terms of Christians being ‘grafted’ to the community of Israel (Gentiles becoming Jews) justification is understood as a personal/non-historical process of personal vindication before God. At first glance, these points seem ‘academic’ (in the worst sense) until we understand what such attitudes do to our Quaker witness. If we leave these postures uninterrogated our proclamation to be living out God’s peace is decidedly hollow (because it will be a peace which does not recognise a key vessel intended to enact that peace). How can Quaker theology repair itself? In part, the answer lies in offering a reinterpretation of our worship and silence which does not invite the ant-Jewish postures of the past and restores to Jewish life its autonomy and dignity. Such a reversal can be realised once Quaker theology acknowledges that early Friends had more than one justification for both anti-ritualism and their pattern of worship. It is the responsibility of contemporary Quakers to select and foster those justifications which do not depend on the marginalisation of Jewish identity and practice. If we leave these postures uninterrogated our proclamation to be living out God’s peace is decidedly hollow (because it will be a peace which does not recognise a key vessel intended to enact that peace). How can Quaker theology repair itself? In part, the answer lies in offering a reinterpretation of our worship and silence which does not invite the ant-Jewish postures of the past and restores to Jewish life its autonomy and dignity. Such a reversal can be realised once Quaker theology acknowledges that early Friends had more than one justification for both anti-ritualism and their pattern of worship. It is the responsibility of contemporary Quakers to select and foster those justifications which do not depend on the marginalisation of Jewish identity and practice. Alongside the use of Pauline spirit/flesh dualisms, early Quaker users of silence also depended upon a rich network of Biblical associations, many of which did not by necessity depend upon the downgrading of the life and worship of Israel. Such an alternative reading of silence is prominent in an exhortative epistle addressed ‘To All the People of the Earth’ (1657) While the epistle makes brief mention of ‘the synagogues…which Christ, the prophets and apostles cried out against’, the letter’s focus is not primarily the replacement of Israel, but the traditions of silence within the Scriptures. This emphasis upon ‘roots’ forces Fox into positions which undeniably hospitable to both the Hebrew Bible and the Jewish tradition more widely. The text summons a rich cast of characters to defend the Quaker use of silence, including Jeremiah, David and Isaiah. In the process of calling on this rich narrative reservoir of symbolism, Fox ends by depicting many of the central figures of the Jewish covenant as living in accord with the rule of silence. Fox considers that ‘a silent meeting is not a strange thing to the righteous Abel nor to the second Jacob for God is the author of their faith’. We should notice what is lacking in such a formulation. Here Fox does not divide the use of silence into stark ‘old’ or ‘new’ covenantal phases but (against his dualistic instincts) produces a single story of Israel and the Church. The guiding categories in Fox’s letter are not chiefly ‘old’ versus ‘new’ but rather the peaceful and the violent. Those excluded from the true worship of the silence are not ‘Jews of the flesh’ per se but those enslaved by the logic violence like Cain and Esau. This suggests a far less factional understanding of the origin and structure of Quaker worship than implied by the spirit/flesh dichotomy. Far from being separate and superior to the ‘Jews of the flesh’ such reasoning implies a strong notion of giftedness and inheritance- Friends now sit in silence because of the peace modelled by the patriarchs and prophets. We can do this faithfully because of Israel’s faithfulness. The unitive possibilities of Fox’s presentation are enhanced when we consider the reasons Fox gives for silent worship in this text. While Fox is sometimes inclined to stress the radically sectarian character of the silent assembly, here he locates two overriding rationales, neither of which necessarily invite a supersessionist interpretation. The first justification for the silence is oracular: to allow Friends to enter that state of hearing God which characterised the prophets of Israel. In this way, the silence is a conduit of training into the gifts of coming Messianic age, when the Spirit will be poured out ‘on all flesh’ (Joel 2:28). Secondly the silence serves as a means of vision by which Friends can participate in the peace that the Hebrew Scriptures and the Gospel promise. The silence in heaven for ‘half an hour’ recorded in Revelations 8 is understood as an expression of God’s final inauguration of peace, in which Friends participate. The lack of ritual in this silence is an extension of this commitment to peace. Just as Yahweh through the lips of the prophets demands ‘love not sacrifice’ (Hosea 6:6), the Quaker renunciation of cultic Christian practice mirrors a commitment to the institutional violence of temples and priests. Thus Quaker anti-ceremonialism need not depend upon in the invalidity of the Mosaic covenant, but stand as a testament of the shared Quaker/Jewish hope for the future of concord and justice. As Fox puts it, through this silence all people can ‘dwell in that which leads to peace’– its power going out in the world and subduing all confusion and strife  This Fox believes represents ‘the consolation of Israel’ awaited by the aged Simeon. Yet as readers of the Epistle are forced to admit, despite these affirming moves, Fox frequently dents their import by repeatedly falling back into the trap of forgetting the Jewishness of the prophets from which he derives his spiritual mission. Despite these not insignificant exegetical obstacles, the recovery of positive judgements of the Jewish tradition in Fox may yet contain the seeds of Quaker trajectories beyond historic anti-Judaism. At the very least the acknowledgement that Quaker postures of silence and anti-ritualism are complex and polymorphic gives Quakers the opportunity to use Fox against Fox. By acknowledging the Jewish religious images and texts which underlie our Worship-practice we may yet be able to join Paul in the affirmation of peace, that Quakers (like all Christians) are ‘branches from a wild olive tree’ [that has] ‘been grafted in’, receiving ‘the blessing God has promised Abraham and his children’ .